The Mayans, Incas and Aztecs were not in the same location. Though, the Mayans and Aztecs lived nearby each other. The Incas lived in the Central Andes mountain range in South America. The Aztecs lived in Central Mexico and the Mayans lived in Central America. What was their art like? Mayans, Incas and Aztecs did not all do art. Mayans and Aztecs did, but the Incas did not. Mayans did murals on the walls, Aztecs did not do that/make paintings on the walls, instead they built things. The Aztecs built big antique structures like temples, palaces, and city walls. They also made gold beads, pottery, and stone urns. And like I said earlier, the Incas did not do any art that we know of. What was their written and spoken language? Again, Mayans, Incas and Aztecs did not all have a writing system. Incas did not have a writing system. The Mayans and Aztecs had a writing system and they both used glyphs. Gylphs was a writing system. The Incas used a quipo and it was tied knots on a string. That wasn't their writing system though, it was a way of communicating and record keeping. What are facts about their daily life? Of course, not all cultures did the same thing. But, the Incas and Aztecs both built something in their daily lives, the Incas built roads while the Aztecs built arches and impressive buildings, they were great architects, so they built a lot. The Mayans did not build though, instead they slashed and burned farms. How were their cities and governments set up? Both Mayans and Incas had multiple gods, Mayans even had goddesses. The Mayans offered sacrifices, ceremonies, festivals, and ball games. 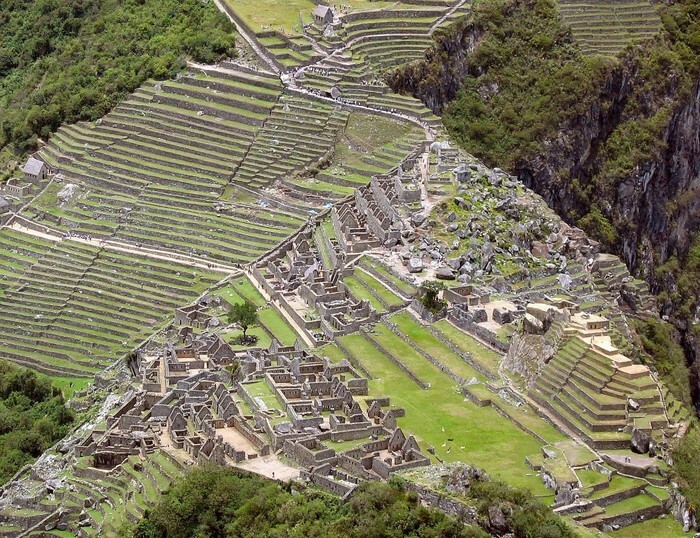 Then, in the Incas culture, the government controlled a lot of things. They picked who farmed, traded, who could marry and who would be soldiers. The Aztecs lived in family groups with the men that farmed while the women took care of the home and children. They also lived in large land-based communities. As you can see, their cities and government weren't very alike. What were inventions of each civilization? The Mayans invented the Calendar (with 365 days) and the number system. The Incas invented blood transfusions, surgeries and suspension bridges. The Aztecs advanced in the astronomy and in their own calendar. The only thing that is alike here is that both the Mayans and Aztecs used a calendar. How did they farm? What did they do if they had uneven land? The Mayans were farmers and they farmed corn and Cocoa. 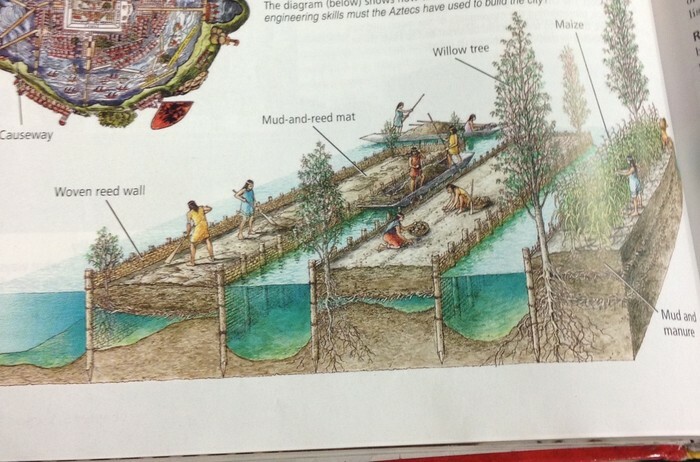 They made farms on floating beds that were made from mud and reeds, the Aztecs made something similar. The Aztecs made floating beds that they placed on the water to plant their crops since their capital was near a lake. The men in the Aztecs were the farmers. The Incas also created something to help them farm, except it wasn't a floating bed type thing. It was a terraced that they created on sides of mountains since they lived in mountain areas. Those areas were flat. The similarity is that each culture made something to help them farm, whether it was floating areas of dirt on water to terraces on the sides of mountains, it helped them farm.